We have more great ROI data for you to look at, this time on our foliar product offerings. It was a great year for our yield-enhancing products, and some stressful conditions let to great returns. Watch the video to learn more. Stay tuned to hear about our in-furrow and foliar program study data. Hey guys, Brian Kurz again. We’re back with some ROI data on our 2018 BigYield product data. Today we will be looking specifically at foliar products. The following data is all multi-replication tests, all certified by the University of Missouri. We will start by looking at our corn data. Let’s start with BigSweetYield. Our control came in at 151.9 bushels per acre. Our treated portion came in at 156.8 bushels per acre. The average increase was 4.9 bushels per acre. With the cost of the product being $3.48 per acre, and using a $3.90 price on corn, The ROI comes out to 450%. Another product we looked at this year was Yield Topper. We tested this foliar on corn as well. The control for that was 110.1 bushels per acre. The portion that we applied the Yield Topper on came to 125.4 bushels per acre. If we take the cost of $9.90 per acre – which is a one-gallon rate – and using the same price on corn, the ROI came out to 503%. Now we will transition over to the soybean side. We will look at two products, even though we had more than that. The two products we will look at are our BigSweetYield DB and our BigBioYield. The control for both of those tests came in at 46 bushels per acre. The BigSweetYield DB came out to 60.6 bushels per acre. This was an average increase of 14.6 bushels per acre. With the cost of the product being $12 per acre, and using $8.85 for our soybean price, the ROI came out to 977%. Now we will look at the BigBioYield. We had the same control at 46 bushels per acre. The treated portion yielded 59.3 bushels per acre. The average increase was 13.3 bushels per acre. 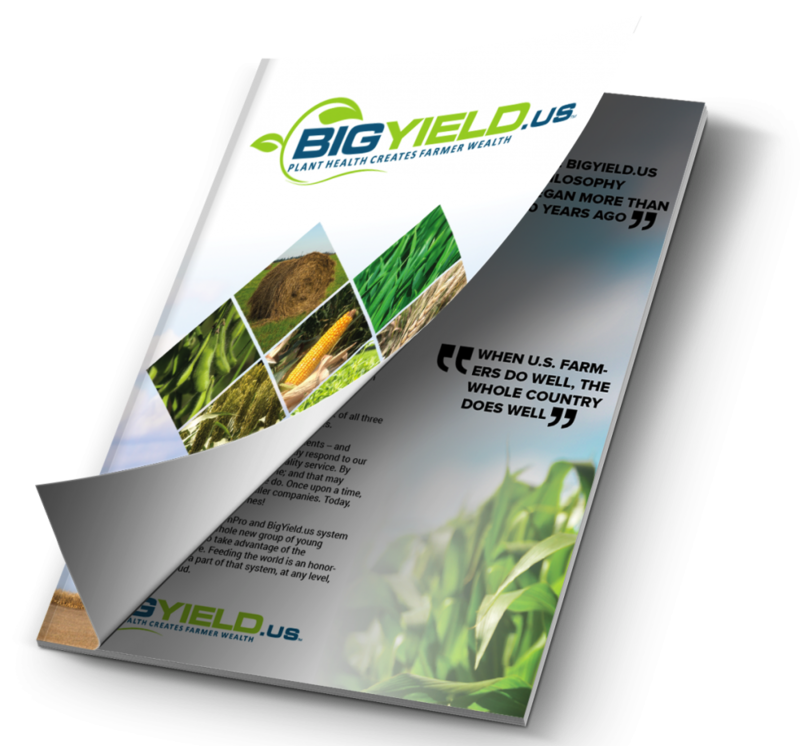 BigBioYield costs $11.25 per acre to apply. Looking again at $8.85 for a soybean price, the ROI for this product came to 946%. We tested several other foliar products – as I mentioned earlier – that we will put on the screen for you. 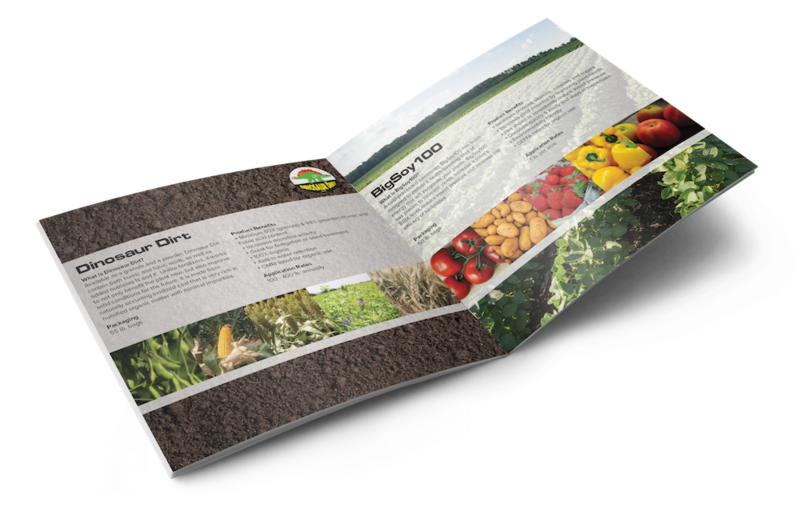 Next week we will look at a few of our program studies for our in-furrow and foliar applications in collaberation with our “Big Deal” program we are running this year. I appreciate you tuning back in, and I’ll talk to you soon.